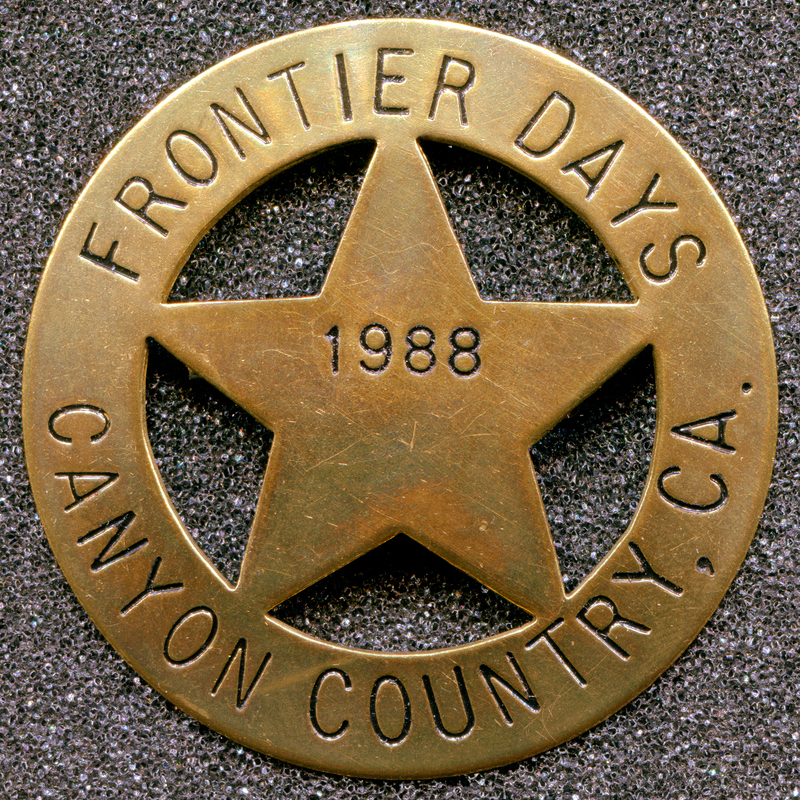 SCVHistory.com LW2770 | Canyon Country | Frontier Days Celebration: Official's Badge, 1988. Official's badge, 1988 Frontier Days Celebration in Canyon Country. LW2770: 9600 dpi jpeg from original badge | Collection of Leon Worden.